As a city with unlimited opportunities, New York has long had appeal for the LGBT+ (lesbian, gay, bisexual, and transgender) community. 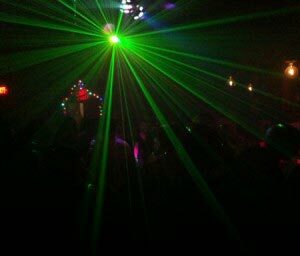 It is estimated that there is half a million LGBT+ residents in New York City, which has resulted in a large number of venues and clubs being developed just for them. New York has long been considered the place where the gay rights movement started. Shortly after WWII, many gay men, lesbians, transvestites, and transgenders found refuge in the neighbourhoods of Greenwich Village, the Upper West Side, and Harlem. At that time, there were no rights for these individuals and homosexual practices were considered punishable by law. Anti-gay laws (many public establishments were not welcoming to the LGBT+ community and there were laws against serving alcohol to gays), as well as police raids of gay bars in 1969 led to a series of violent uprisings against the police by the LGBT+ community: Stonewall Riots. Stonewall Inn, where the uprising began, has since reopened (53 Christopher Street). Following this revolt for gay rights, uprisings spread throughout the world for equal rights for the LGBT+ community. The latest success for New Yorkers is the introduction of gay marriage in June 2011. 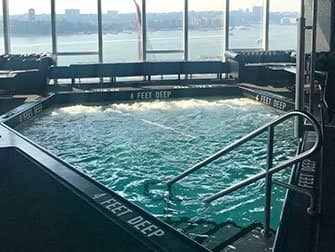 On the 18th floor of the Standard Hotel, you will find the two-floor club called Le Bain. The name Le Bain comes from the indoor pool located just next to the DJ. When the club is open during the summertime, people can even go swimming in it. During the wintertime, it serves as an extra dance floor. The entire club has spectacular views of all of Manhattan and the Hudson River. When the weather is nice outside, you should go to the 19th floor where you can enjoy cocktails on the terrace. On Thursday nights, Le Bain becomes the spot for the fashion-forward young gay crowd. Men, women, gay, straight,…all are welcome! 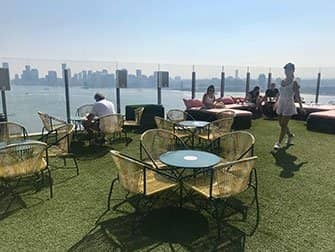 Drinks here are expensive, but the atmosphere is 100 percent Manhattan: stunning views from every angle, beautiful people, and good DJs. As suggested by its name, Industry Bar was originally an industrial warehouse, which has since been renovated into a stylish bar. On almost every night of the week, Industry Bar tries to create a theme night, which includes drag shows, pool tournaments, or American activities (like watching TV shows, such as Desperate Housewives or RuPaul’s Drag Race). The crowd is between mid-twenties to mid-forties and mostly include white, African-Americans, and Asians. On weekends, Industry Bar gets really packed and the crowd is almost exclusively all men with the occasional fag hag. Brace yourself for when the club gets jumping to pop music. Industry Bar contains two bars, private booths, a pool table, and a podium where people can dance. Drinks are reasonably priced, however, the bathrooms are a disaster (pee before you leave home), but the atmosphere is always great. This place is a classic when it comes to New York gay bars. It is known for a relaxed atmosphere, awesome drag shows and cheap drinks. The above-mentioned clubs usually do not require an entrance fee. However, the clubs close between 02:00 and 04:00. Don’t forget to always carry your ID with you when going out and tip at least $1 per drink. Have fun!